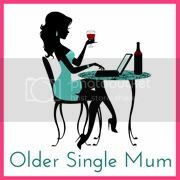 Older Single Mum: Hitting the Ground Running. We've has the most hectic few weeks ever. First, there was my bash over the head with a badminton racquet and I haven't been quite the same since. It's impossible to read my iphone screen as clearly as before, so am struggling with social media just at such a time where loads of lovely pictures and some Tweeting could be telling stories that there simply isn't time to write. Some self-redemption might have been possible with my new instagram account if the signal wasn't so dodgy where half my time is spent with the children to and from their different schools at staggered hours. I take splendid photos of the sea en route most days, but on there they stay - 'Failed to send' and uploading them to blog posts is out of the question at present. 'Failed again' they might as well say, while the two children and three children still selfishly demand to be fed and watered with clean clothing and bed linen, plus copious conversation. One day, I might eventually sit down at home and send them all at once and you'll get lots of 'The sea today' taken on several different days really - and glaringly obviously too, but it might be fun anyhow. She's always different. It's mad for lots of us towards the end of term, so hitting the ground running is the only option for now. This week-end the the boys were baptized. The weather was fantastic, the ceremony was beautiful, the party afterwards was perfect. It meant lots of organizing and people travelling a great deal, but was worth it. Prior to it though, a week- end 'glamping' with no electricity was, let's say, a novelty, interestingly timed and put to good test that adage 'A change is as good as a rest.' When I've recovered from it, I will undoubtedly confirm, once again, that all cliches are true. All this followed hot on the heels of the Britmums conference, endured enormously graciously *cough* despite confirmed concussion. So when someone asked if I wanted to sell my iphone it jolted me into making another appointment to get checked out by the Doctor properly, because they obviously didn't take me seriously enough last time. Perhaps I didn't take myself seriously enough, but if you know that bit in the film 'Ghost' when Patrick Swayze gets knocked out by the robber and he runs after him but his body is still on the ground, then you might understand when I say that the top half of me was out of my body - literally knocked sideways! 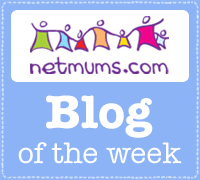 I'm feeling better all the time, and my osteopath has been a great help, but not being able to interact properly only increases the feelings of failure that most single mums are subjected to, even on a good day, which is silly, isn't it? Don't we all like a bit of life in our social media and a bit of social media in our lives, no matter how hectic we are? [Disclosure: I have been compensated for this post, but words and pic are my own, obvs!]. Here.... sit down, let me make you a cup of tea, and bake you a cake. I'll put the boys to bed and set those students straight. I really wish I could do that for you - you so need and deserve a break. That accident with the racquet was nasty! And you are still suffering the repercussions! Hugs your way lovely friend! It's a mad life, I know the feeling! Concussion is not to be messed with, I slipped on the snow the year about 4 years ago and my head hit not soft snow but the concrete step underneath, the snow went red, don't remember much else after that except for the crashing headache! I hope things calm down for you now. I feel tired just reading your post!